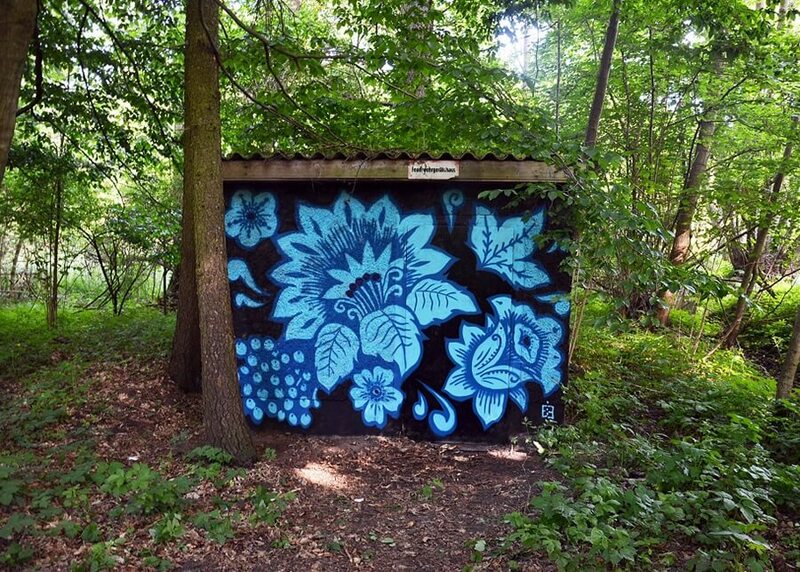 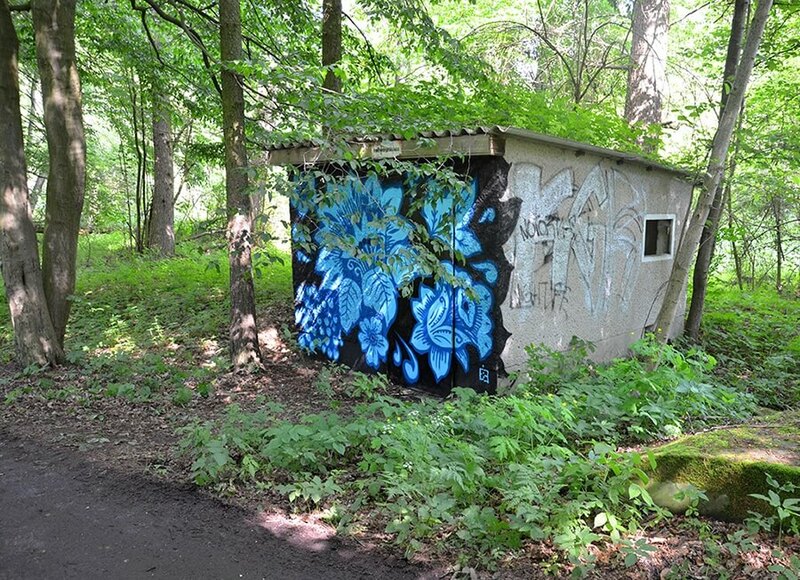 Two graffiti pieses in the forest near Berlin. 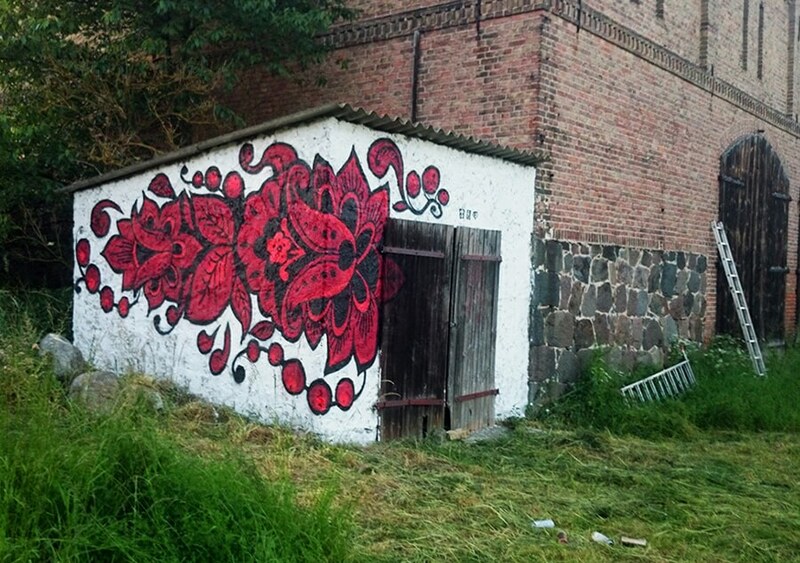 Red and blue russian folklore pattern sprayed on two walls in Spreewald. 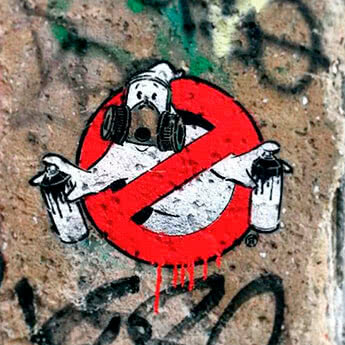 The year 2014.